As the school year starts, parents all over the world have one question in mind: “Should I get my kid or my children a Windows Personal Computer or a Chromebook?” While Chromebook laptop is offering a lower price and better battery life, Windows PC has slowly caught up with Chromebook. But despite that, there are still factors that differentiate the two machines. According to IDC Technologies, Chromebook has been steadily getting interests among U.S consumers. Chromebook laptops are projected to reach at least 3.9 million units this year, a 29.4% increase in sales compared to last year. That’s a significant growth; especially most computer technology experts are expecting a dip in computer sales by 3.7% in the future. So, what is the reason why Chromebook laptops are getting too much attention from consumers? Should you consider this machine rather than use a Windows PC or laptop? How old is the kid that will be using the device? 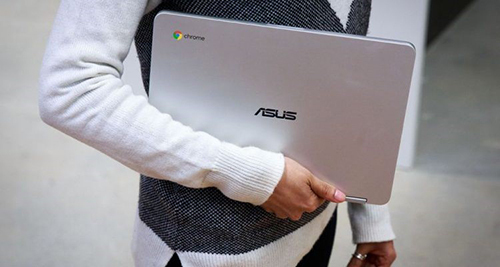 Because of Chromebook’s simple design, it is best suited for people who don’t have a lot of knowledge when it comes to computer technicalities. Students, simple office workers, or even kids old enough to use a laptop can easily navigate this device. But for students with computer knowledge and needs specialized applications that are not available on Chromebook, like coding, music composition, or video editing applications, they might find Chrome laptops a total waste of money. One of the most crucial factors that can decide whether students will get a Chromebook or a Windows Laptop or PC is to know how far the school is allowing them to use the device. According to an interview. Linn Huang, an IDC director, said that a lot of K to 12 schools are allowing their students to use Chromebook laptops. Some schools even wheel in Chromebooks to entice their students to use one. Fortunately, students become more adept in using Chrome OS compared to other operating systems available in the market today. Using the device means students are also logged into Chrome applications like Google Drive, Google Docs and other apps that are useful to students. You can access these apps using a Windows PC or laptop at home, but if students are using the Chrome device at school, they will have an easier time if they also have the machine back home. Chrome laptops also work better in the classroom using apps like Google Classroom. The app will streamline the process of assignment feedback and distribution. It can also organize all the school data in one place. Google Classroom also allows school administrators and teachers to create platforms to distribute their attach readings and syllabi. These applications are also available in Google Play and iOS for teachers that are on the go. Not only students will have consistency, and it will help them hold onto all of their school work if they are using the same device in school and at home. They can use all the applications they are using at school efficiently when they go home since all their data is stored in one platform. When students go home and use a different Chrome device at home, they can directly log into their school account, and they can now use all their bookmarked websites and apps, use their Google contents, their android apps, and all their paid applications. They can immediately install all of them as soon as they get home. While Windows laptops and computers allow multiple users, chrome device is considered as one of the most shareable computers in the world. Family members can easily use it without any issues. Kids can log into any application, and once they are finished using, nothing that they did will affect another user’s partition. On the other side, Windows 10 is a little complicated. 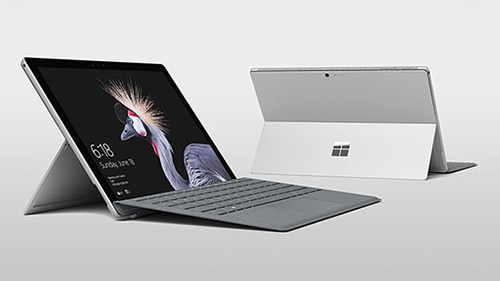 The OS will not only flood your screen with notification, asking its users if they will recommend the OS to the people they know, it will also want its users to use Cortana. For students and especially kids, learning Cortona may be the least of their concerns and a total waste of time. Your kids are the one who will be using the device. It is best if you talk to them and ask them what device they are comfortable using. You also have to consider the needs of the students because after all, they are the one who will be using the device.